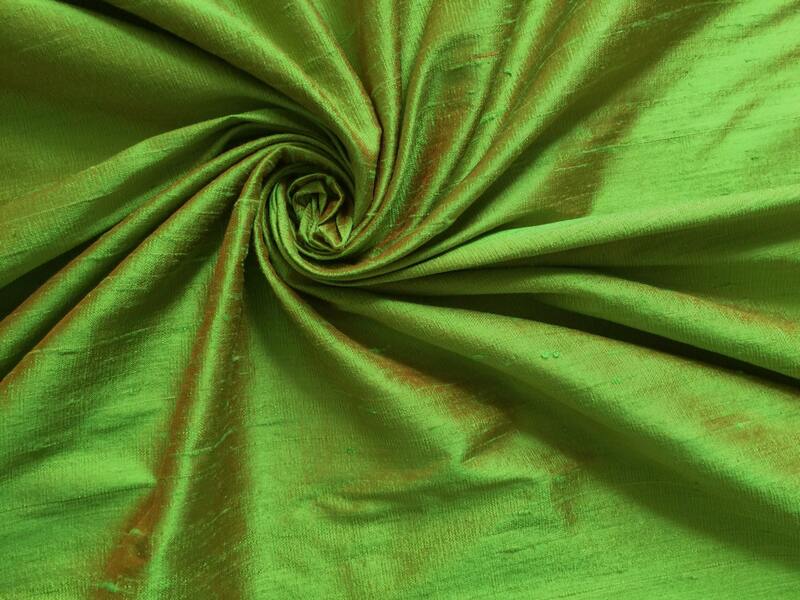 Green Orange dupioni silk fabric. Brand New High-End Dupioni Silk Fabric Yardage. 45 inches wide. This is very strikingly iridescent! This fabric is gorgeous!! I wanted more of an emerald green but it’s ok it’s a wonderful surprise I just love it! Look at the orange shot it’s exquisite! I have ordered an emerald green from the same seller because this seller knocks it out of the park fast and amazing ty!! Fabric is beautiful. Service was quick. Will work perfectly for my project! This material is breathtakingly beautiful!! I am so happy with this purchase, and I plan on ordering again.